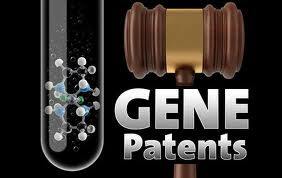 On July 29, 2011, the US Court of Appeals for Federal Circuit finally pronounced its long-awaited decision upholding patent eligibility of Myriad Genetics’ patent claims covering isolated DNA molecules and claims directed towards a method for screening potential cancer therapeutics. However, the Court ruled as ineligible those claims which related to “comparison” or “analysis” of DNA sequences on grounds that such claims covered “mental steps” and did not satisfy the test of transformation. Sometime last year, the US department of Justice expressed concern on patenting of DNA sequences which existed in nature. The Court however upheld Myriad’s patents stating that the claimed DNA sequences did not exist in nature in their isolated states. Prominent American NGOs, American Civil Liberties Union (ACLU) and the Public Patent Foundation, which were opposed to the grant of patents to DNA sequences, were party to the proceedings. The consequence of the Court’s decision is that the first issue was ruled in favour of Myriad, but the diagnostic test, which was of “practical” value to Myriad was treated as ineligible subject-matter. Considering this, there is a chance Myriad may prefer an appeal against the decision. It goes without saying that ACLU and Public Patent Foundation too are expected to knock the doors of the US Supreme Court challenging this decision. The verdict is largely seen as a pro biotechology lobby verdict; whichever way this decision is seen, the one thing that stands out is that (patent) law is in an impossible race to “catch up” with technology and the conundra it poses. I’ll shortly undertake a detailed discussion of the decision over a few posts.